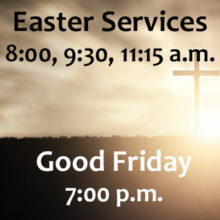 Mark your calendars for our Good Friday and Easter services. 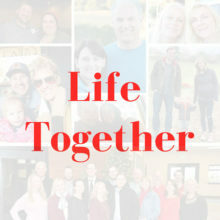 On Friday, April 19, we will hold Good Friday services at Believers Fellowship. Join us at 7:00 p.m. for this very special and solemn service. 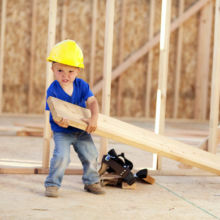 Nursery will be provided. We will have three services to celebrate the raising of our Lord and Savior on Sunday, April 21. The 9:30 and 11:15 services will be crowded so as an added incentive, the 8:00 service will have donuts! Nursery and classes for 3 yrs through kindergarten available at all services. We want to express our gratitude to missions both near and far, by dedicating the entire offering on Easter to outreach ministries. If you give online or use our app, you may choose the “Easter Sunday Donation” in the drop-down menu beginning one week before Easter. 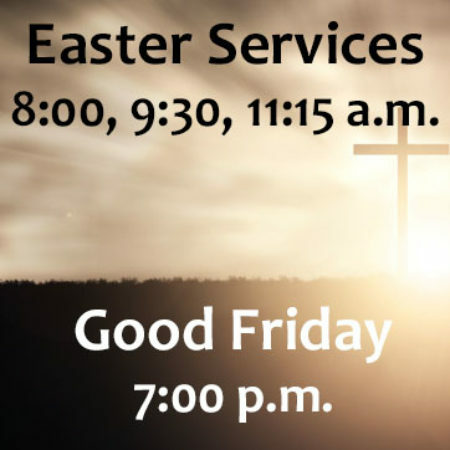 We look forward to seeing you on Good Friday and Easter!